Congratulations to Sarah Rodriguez, National Cytotechnology Day 2019 Design Contest Winner! What is National Cytotechnology Day? The idea for NCD was first entertained and pursued at the ASCT Interim meeting in Atlanta, Georgia back in 1984 by ASCT member Bruce Buschmann. History was made the following year in Philadelphia, PA when the week of May 12-18, 1985 became the first ever National Cytotechnology Week. The presentation of the proclamation, given by then Mayor of Philadelphia, W. Wilson Goode, was attended by Past ASCT President, Shirley Greening. Many local celebrations, mayoral and gubernatorial proclamations followed as NCD events grew in popularity. In addition to celebrating the important work of Dr. George Papanicolaou, NCD has been utilized as a means to promote the importance of the Pap test in women's health and the contributions of cytotechnologists to the health care field. 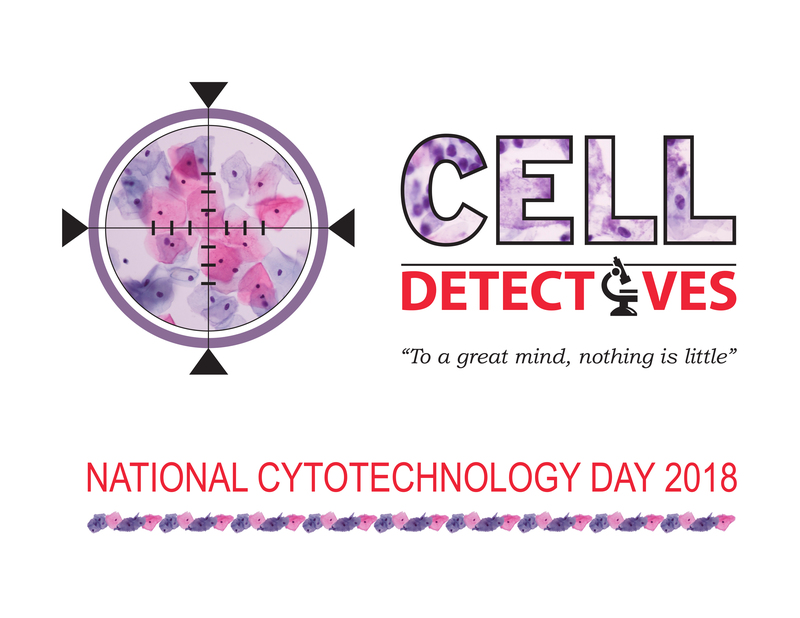 To commemorate Dr. George Papanicolaou's contributions to the field of medicine, May 13 - his birthday - has been designated National Cytotechnology Day (NCD). The ASCT would like to share how labs celebrate NCD. Please send us photos, ideas and articles on how you celebrated NCD this year to info@asct.com. Your lab will be featured in the next issue of The Voice.